← France: Free Kara Wild! What: The festival will feature tattoo artists ready to give you a tattoo in support of political prisoners – but that’s not all – apart from tattoos there will also be stick-and-poke tattoo workshop, music, talks on different prisoners, burlesque, boxing, distros, food, and much much more. 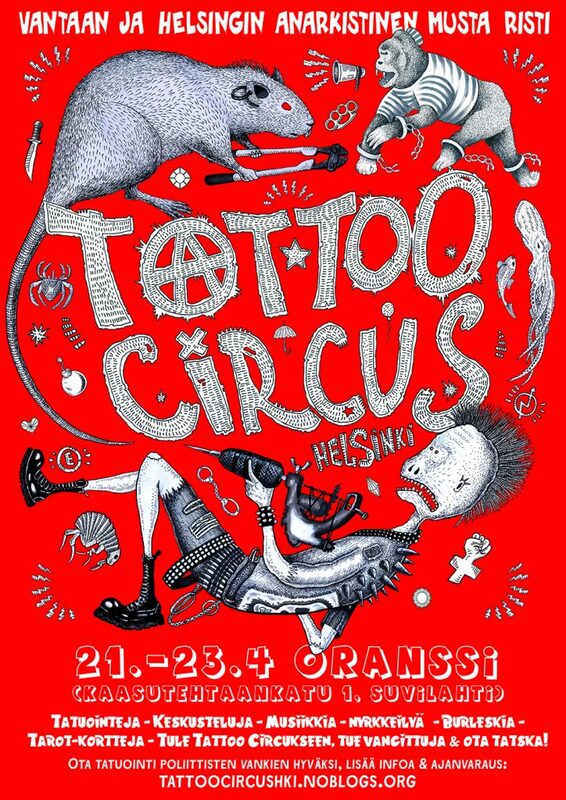 This entry was posted in Benefits and tagged Benefits, helsinki, political prisoners, tattoo, tattoo circus. Bookmark the permalink.